Hoping to improve your performance on the field or court? Maybe you want to improve your race time or build up your stamina? Maybe you're interested in just one aspect of your skillset - your vertical, your mobility, your 60-yard-dash time? No matter what goals you have for your training, we're here to make them happen. Our Performance Training at CrossFit View is designed to tailor your workouts to a specific goal and specific achievements in the competition setting. This class is not for those of you just looking to stay fit. We're training with a purpose. Join us in Salem today and check it out for yourself. How Does The Performance Training System Work? These group classes go beyond the foundations of our CrossFit system, drawing on a wide range of training strategies to help you find success. 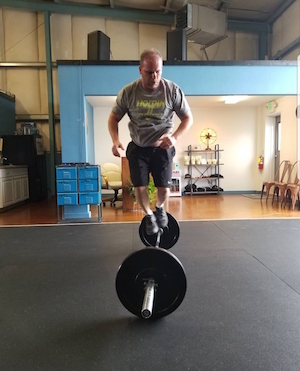 Our Performance Training is giving athletes across Southeast Salem a cutting-edge fitness program that keeps you motivated and driven toward improved athleticism and ability. We've helped athletes from a wide range of sports become stronger, faster, and more efficient in their movements - all in the effort for improved performance. You could be next. Just Fill Out The Short Form On Your Screen To Take Advantage Of Our Performance Training In Salem! Take your skills to the next level in no time with our Performance Training in Salem. We're proud to help men and women of all abilities and backgrounds build their skills one day at a time. Just fill out the short form on your screen to learn more about everything we have to offer at CrossFit View!